Image by Yunava1 (via Shutterstock). 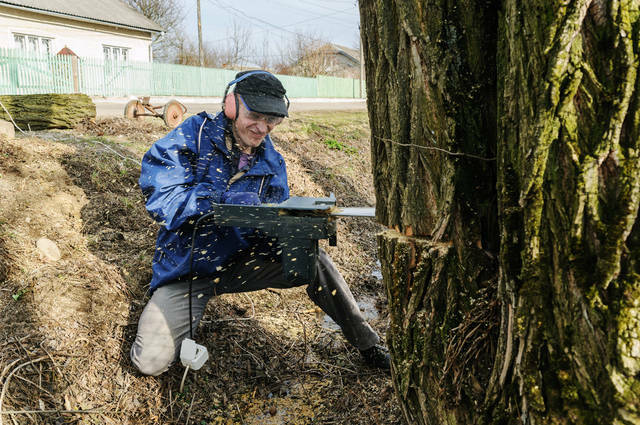 Ever wondered how long certain types of timber last? 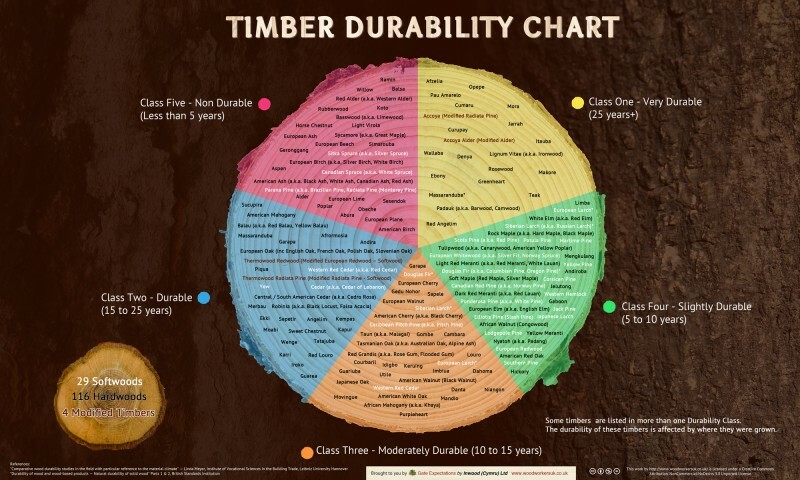 We at Theo’s Timber have stumbled across this infographic which details the durability of wood varieties. Using the rings of a tree, this is more of a spider chart than an infographic. It is quite novel. Why do we love this durability diagram? Apart from the graphic design and novel approach, it is a useful reference for DIY-ers. If you’re buying – or know somebody who has purchased flat pack furniture – it is equally useful. The levels of durability in this graphic are consistent with the British Standards Institution ratings. If you like the infographic as much as we do, share it widely. Before you do, don’t forget to acknowledge the all round good eggs at Gate Expectations. They will appreciate that.